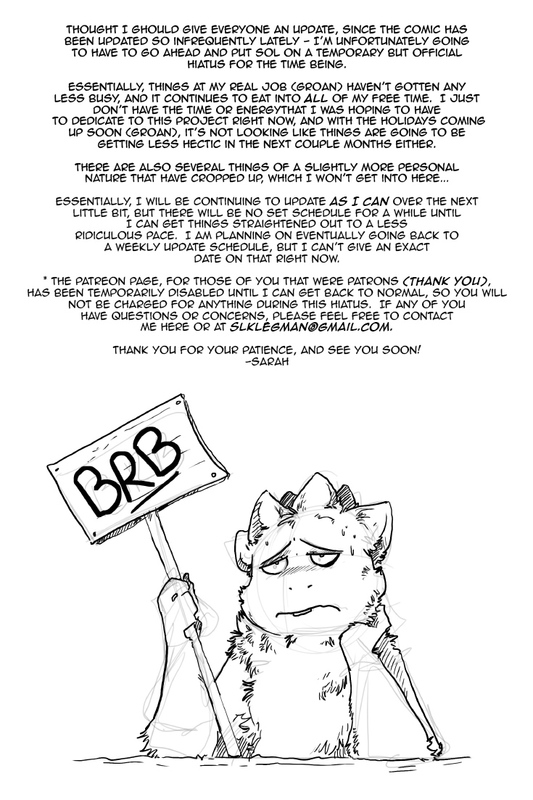 So sorry guys :( All the relevant information is in the image above. Sorry to hear that but we understand; jobs and personal lives always come first. We'll be here when you get back. Actually, none of your readers want to admit that they would really prefer that you just keep up the updates. If your job suffers, we are not affected at all. So chin up, and start that next page! Hope things settled down to better pace at your job. Still periodically checking in too see if you have updated. Hope things are going well.